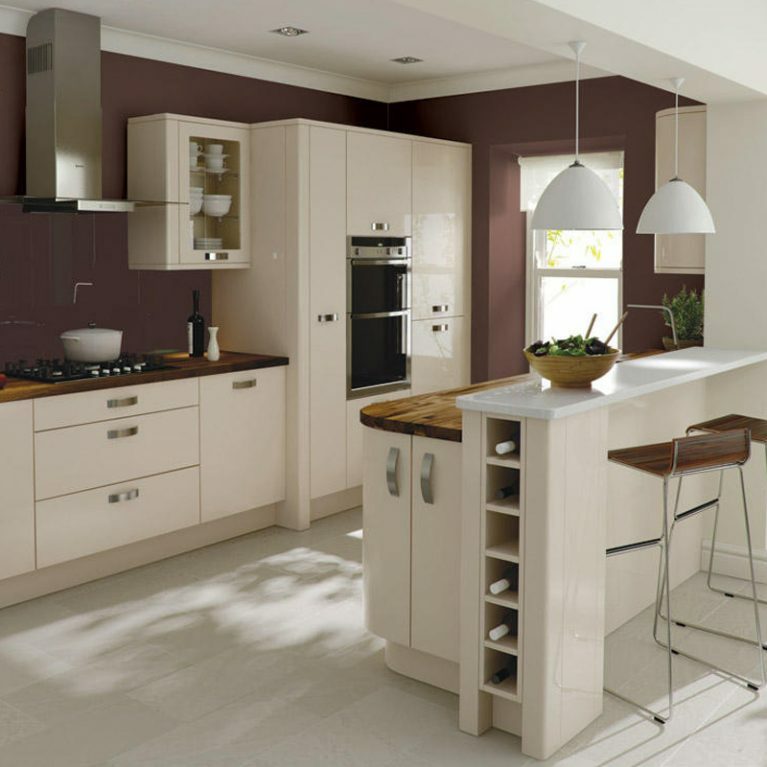 Adding a pop of colour to your kitchen design will breathe life into the heart of your home. 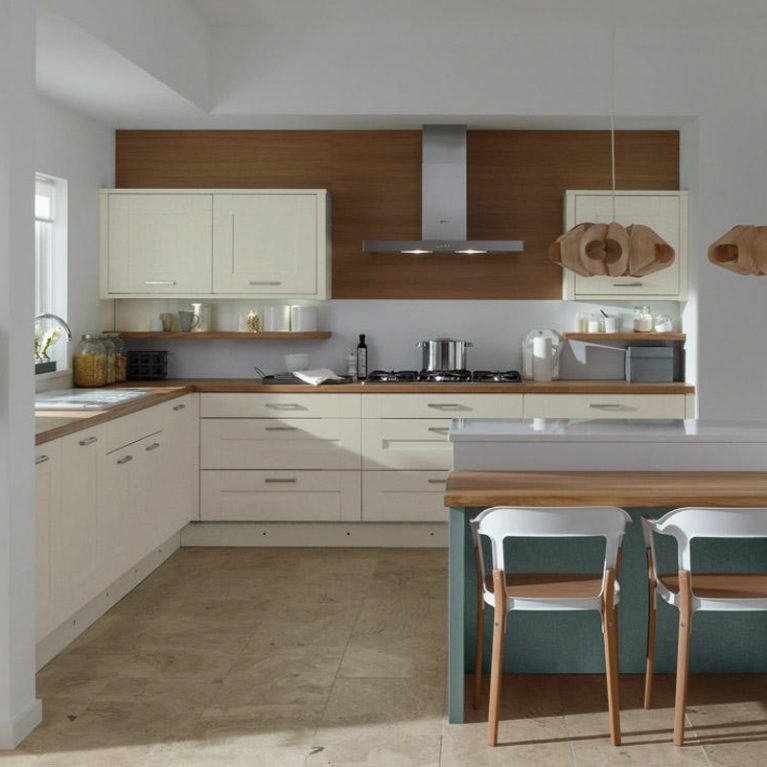 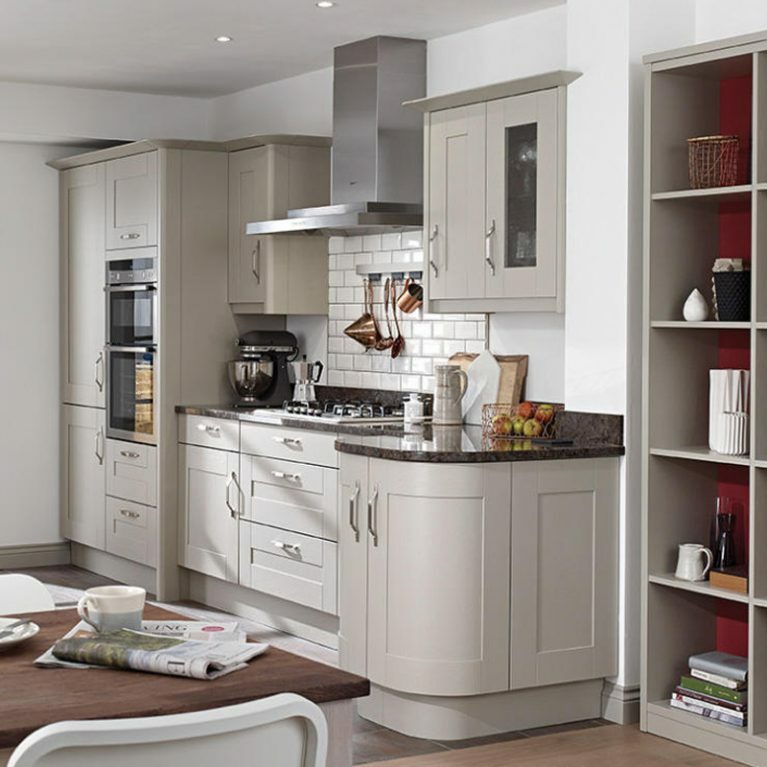 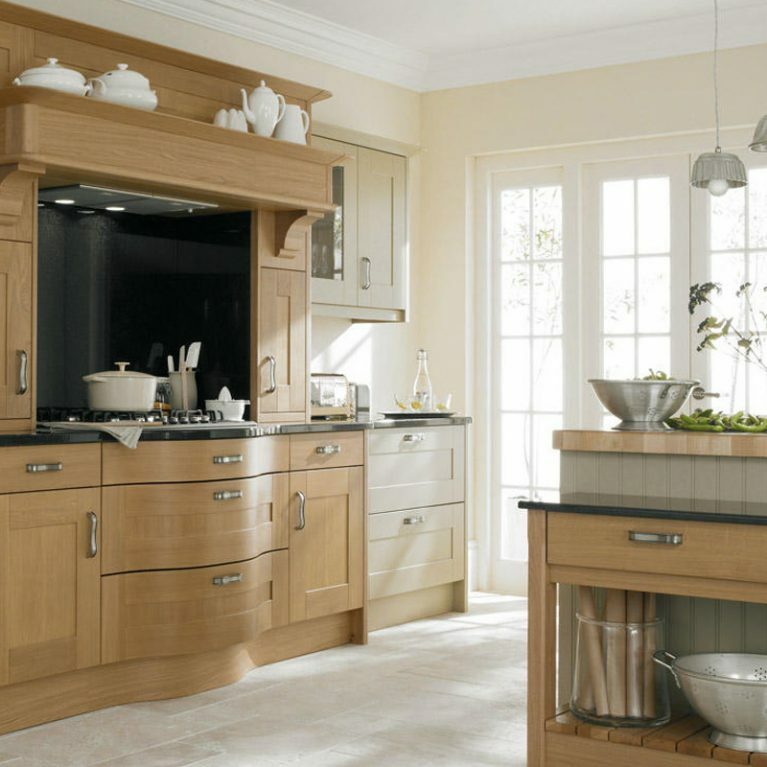 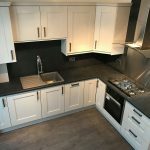 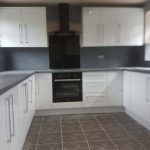 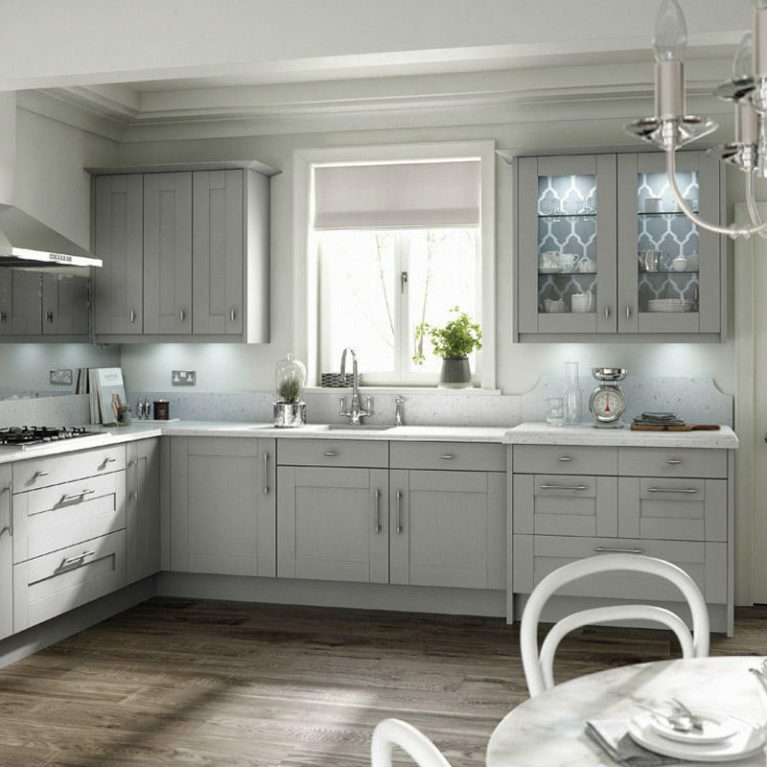 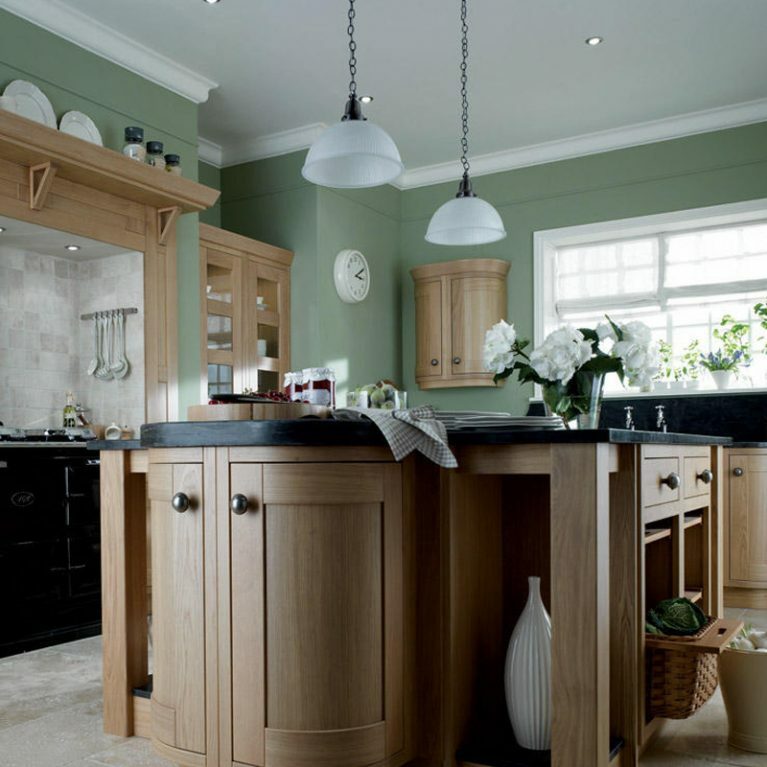 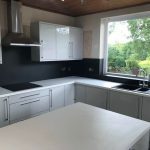 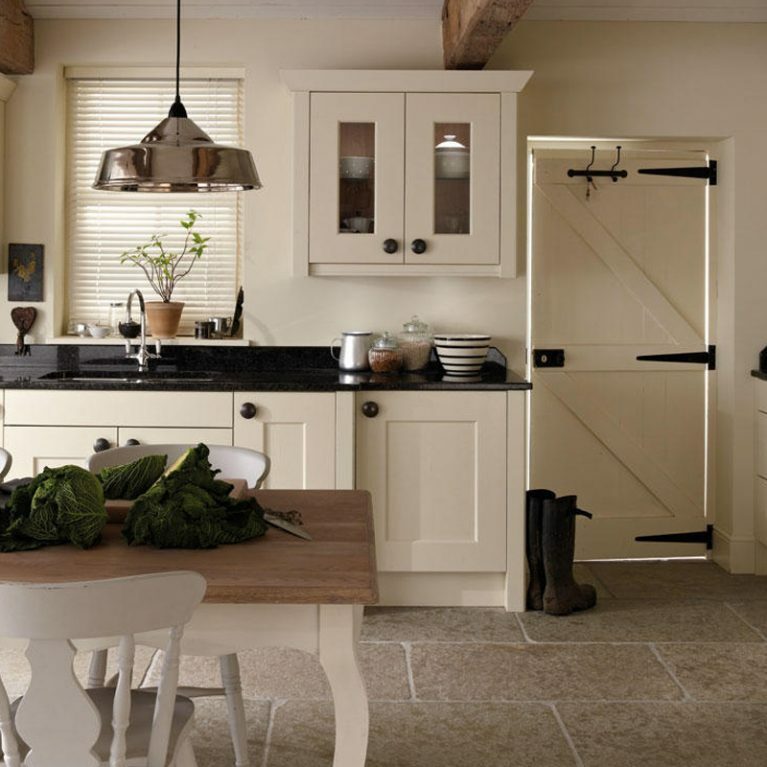 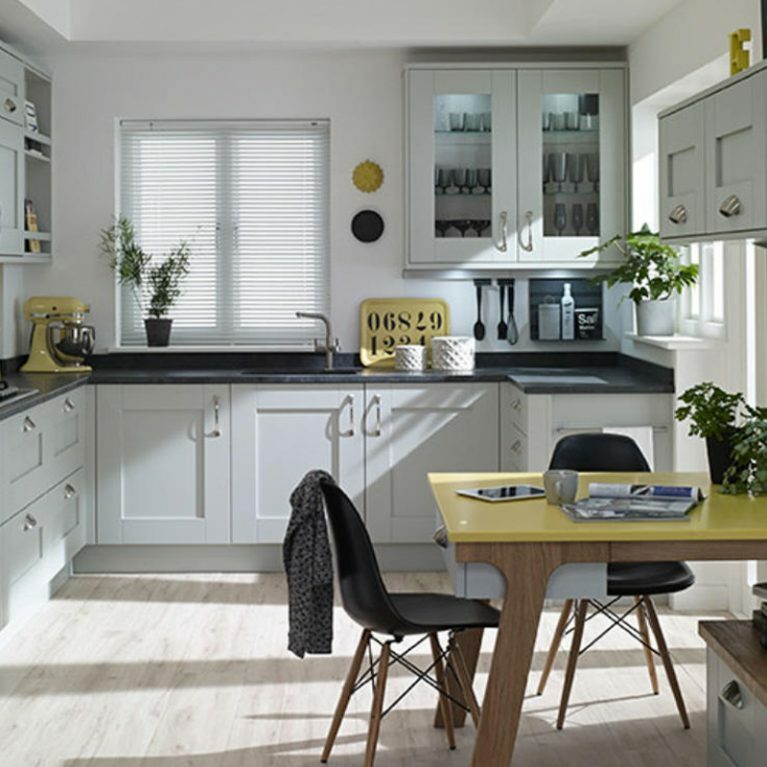 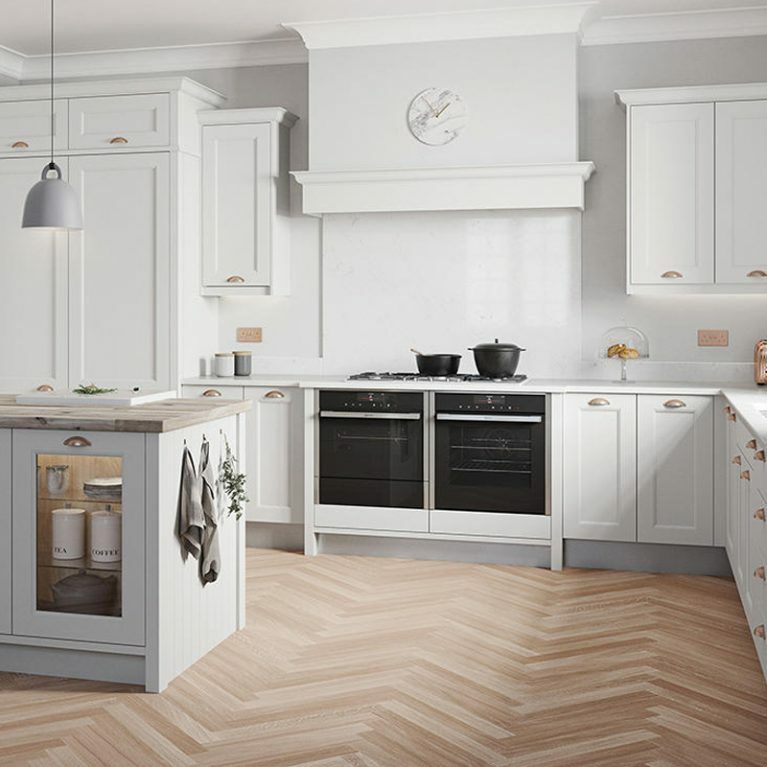 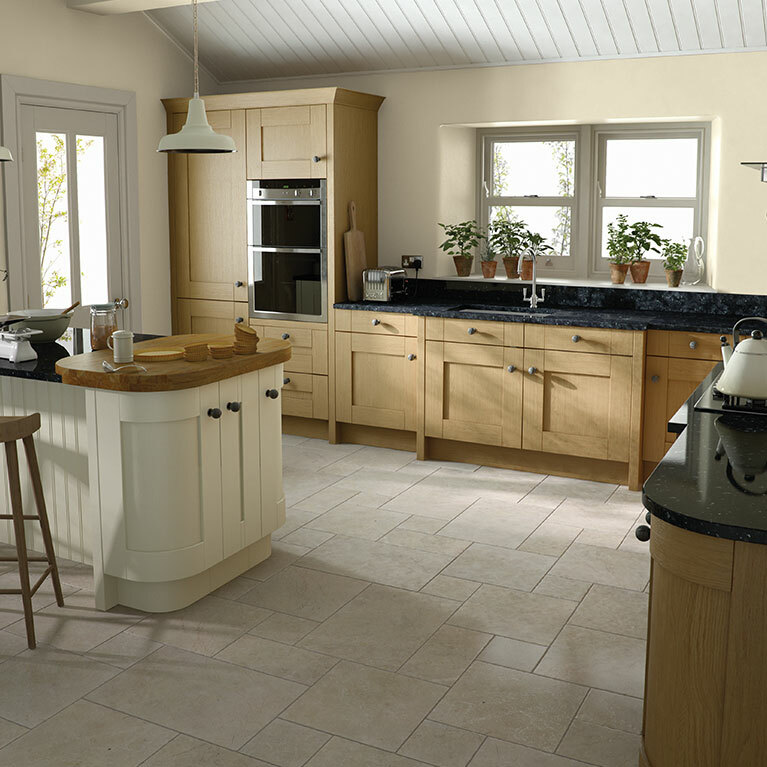 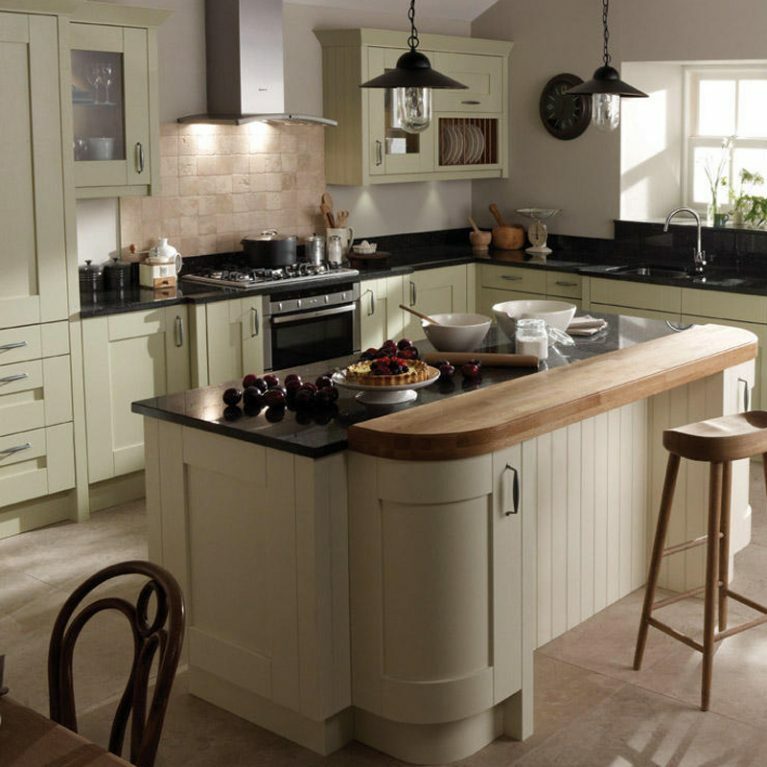 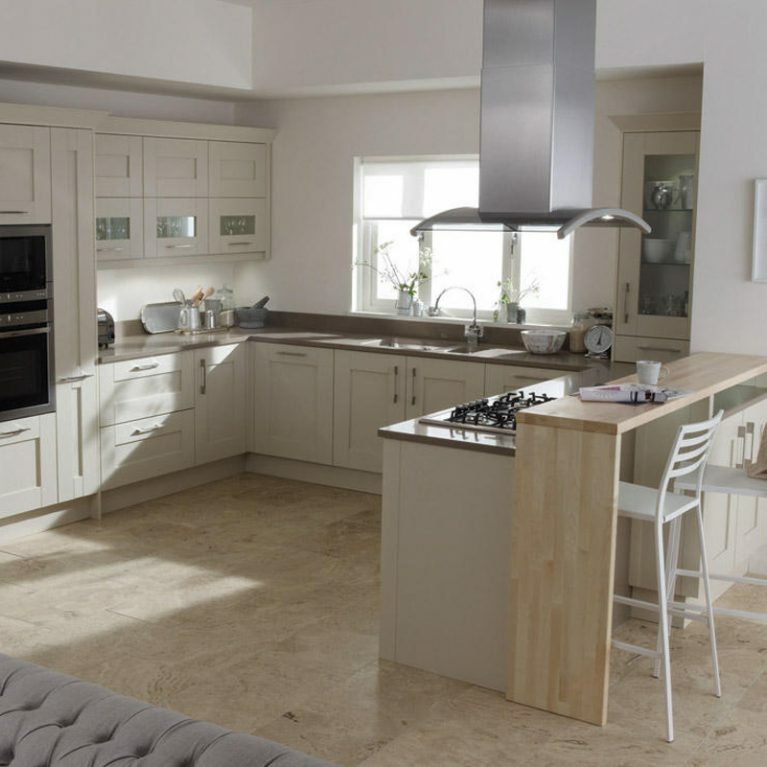 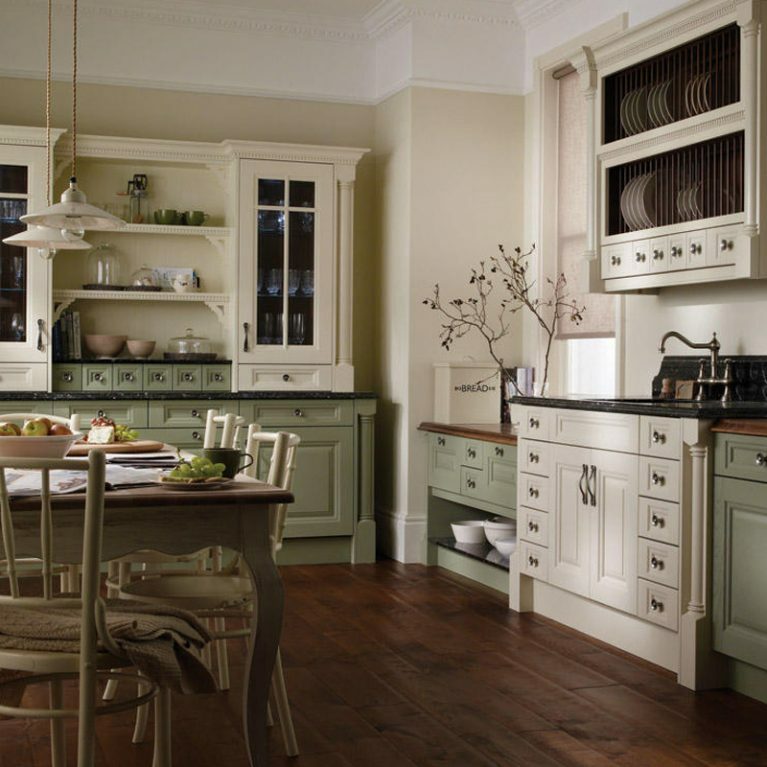 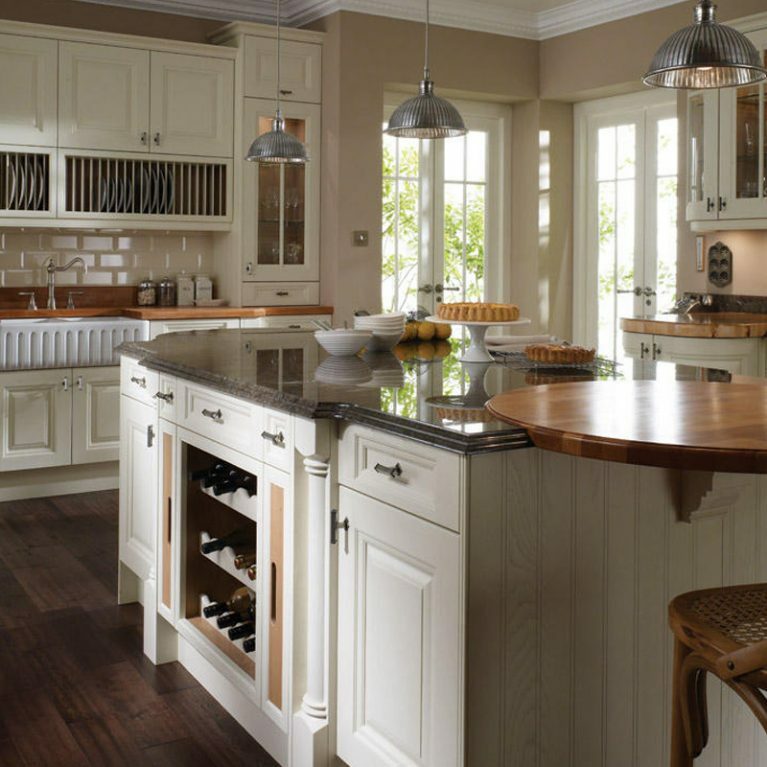 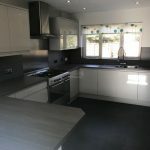 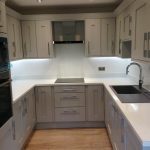 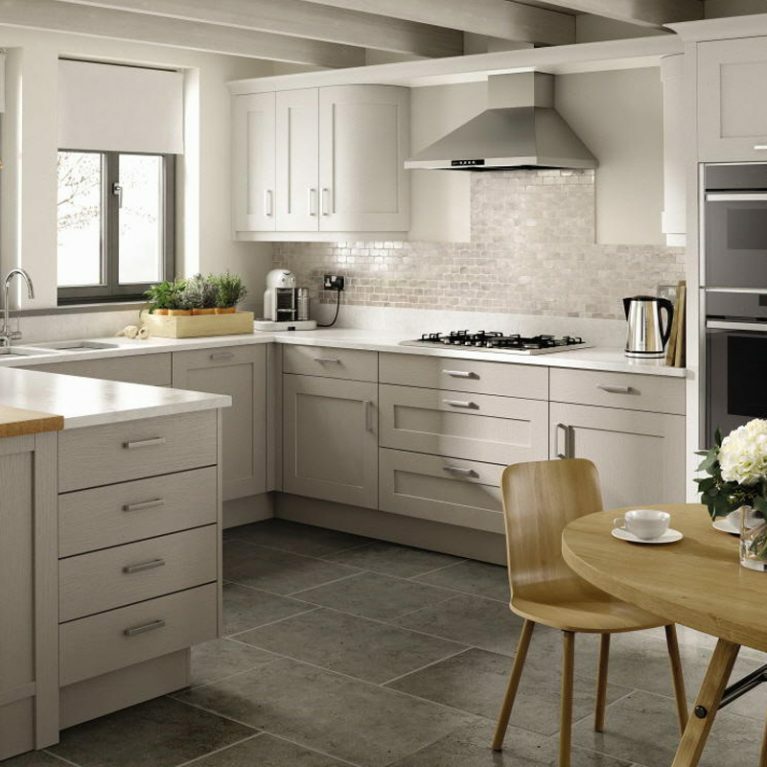 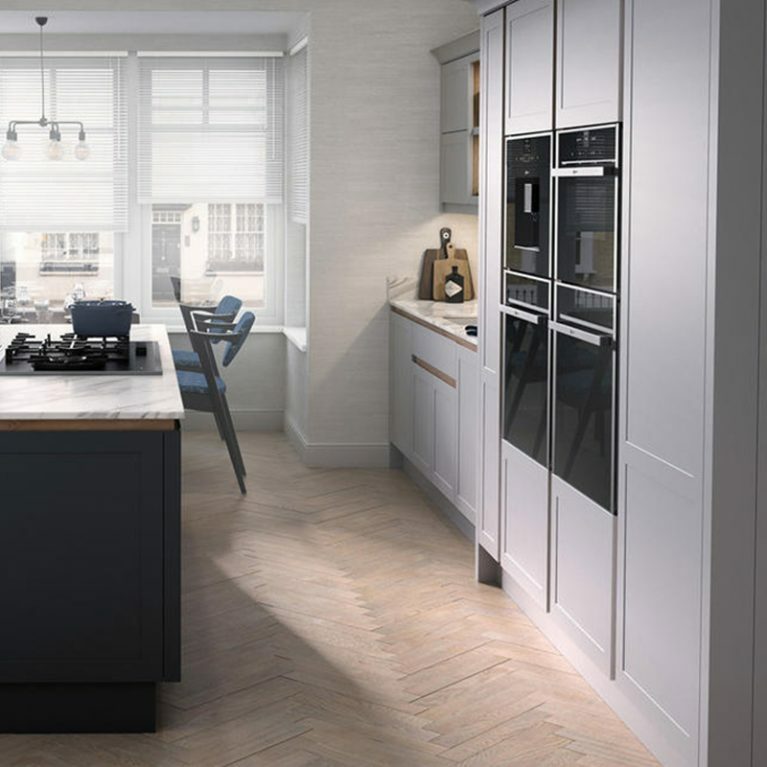 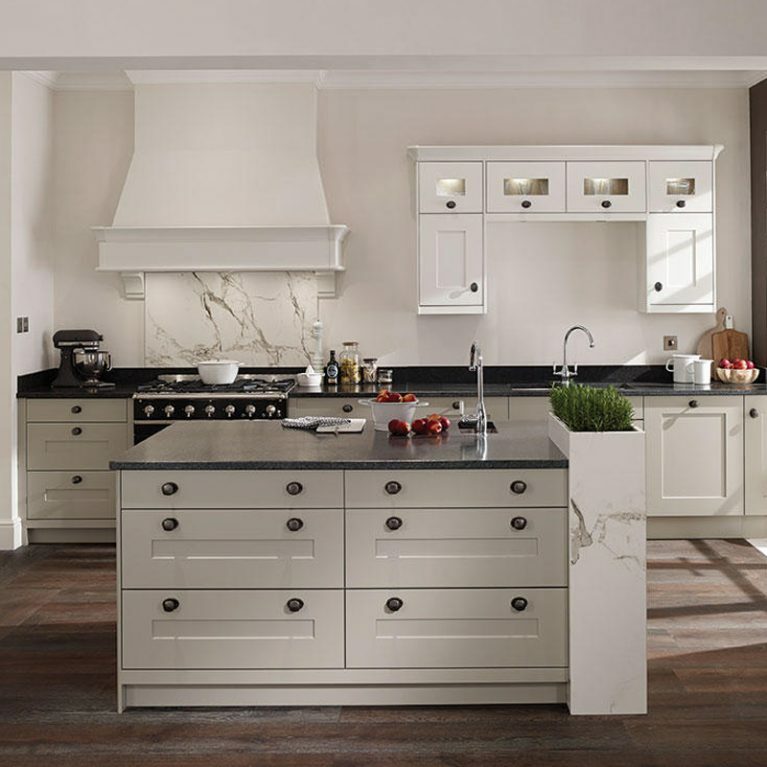 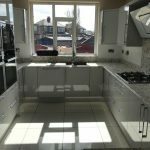 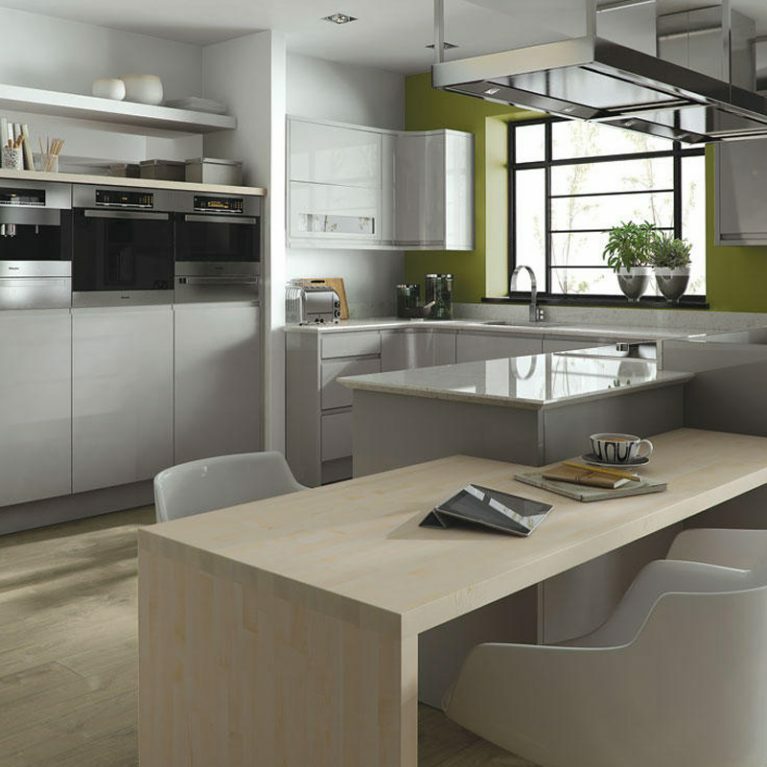 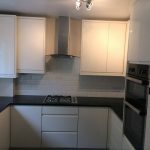 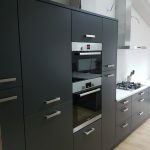 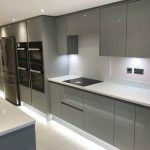 That’s precisely why Number One Kitchens’ Remo Painted kitchen design is so incredibly popular, and precisely why we would be utterly delighted to help you work it into your home. 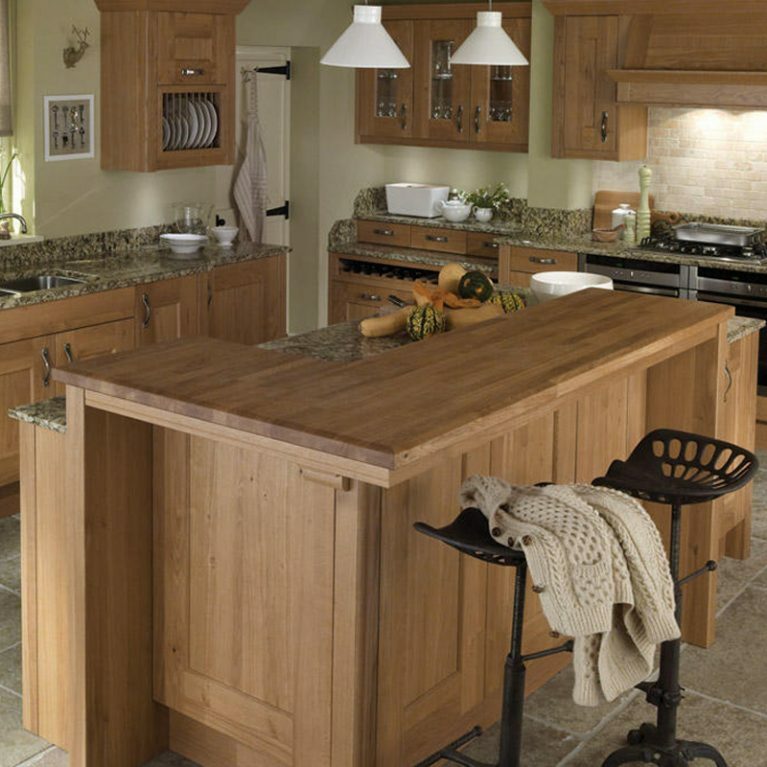 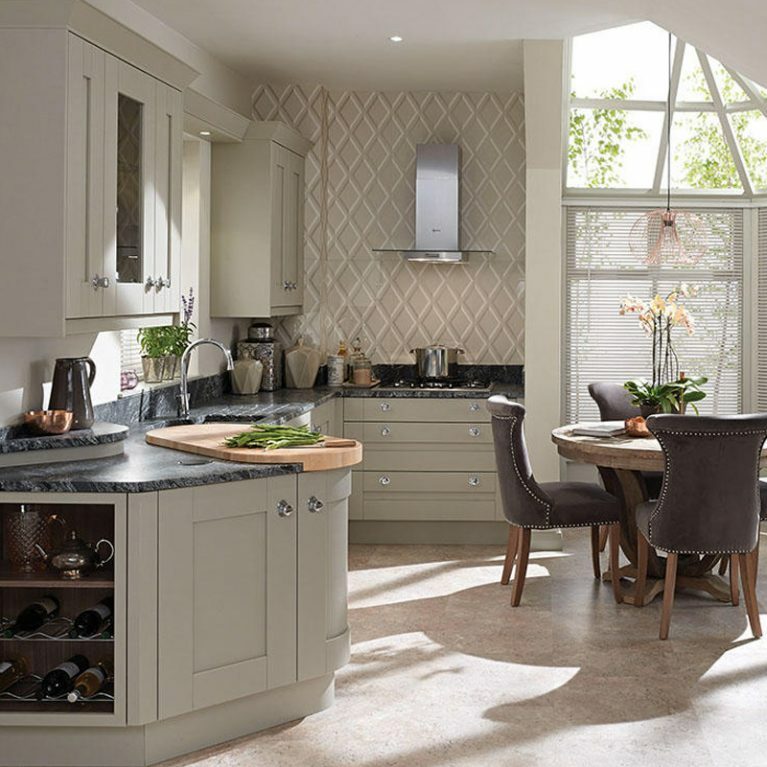 This U-shaped kitchen space shows that with an appropriate design, you can maximise your space and storage opportunities and create a kitchen that you will absolutely adore. 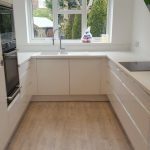 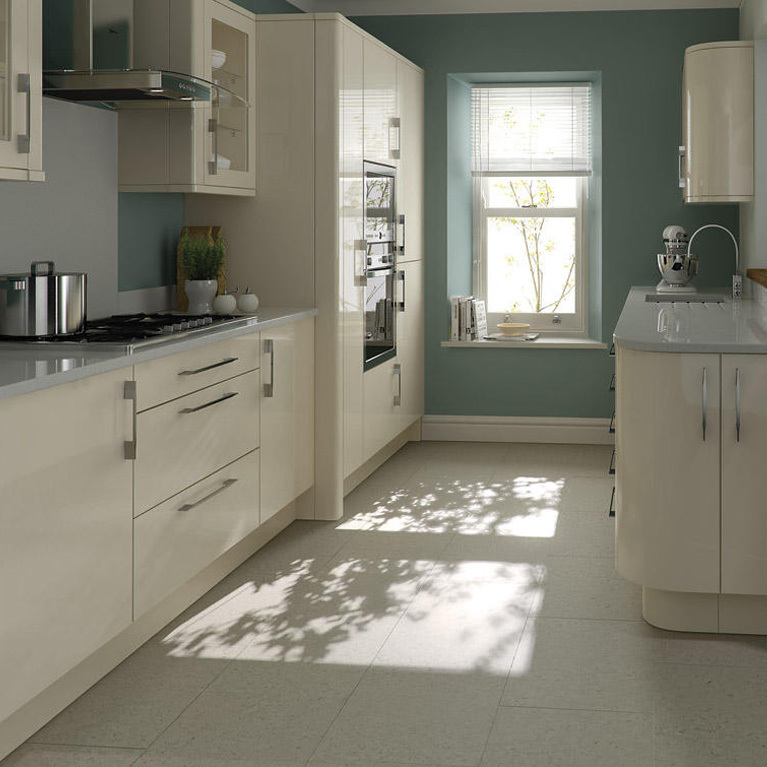 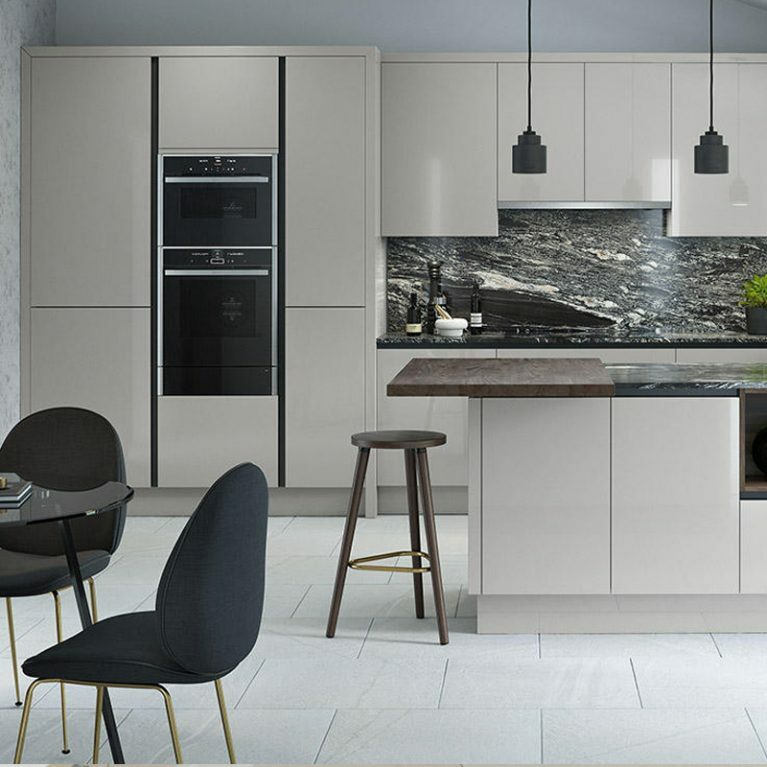 The Remo Painted contemporary kitchen design makes the most of every nook and cranny of space, incorporating flawless curved kitchen doors into the space for a beautiful end result. 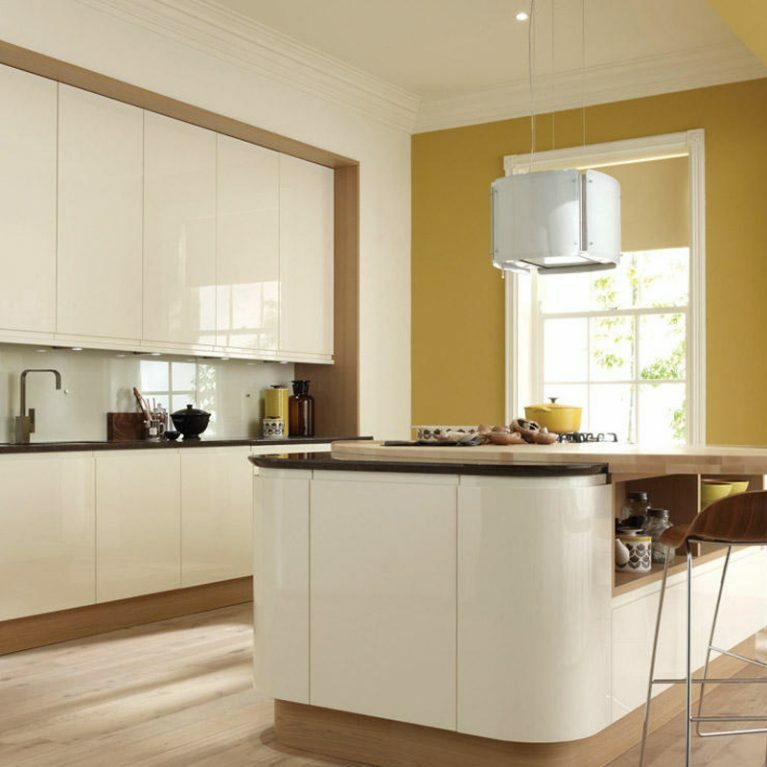 The primary colour at work in this beautiful Remo Painted kitchen is a gorgeous neutral white shade. 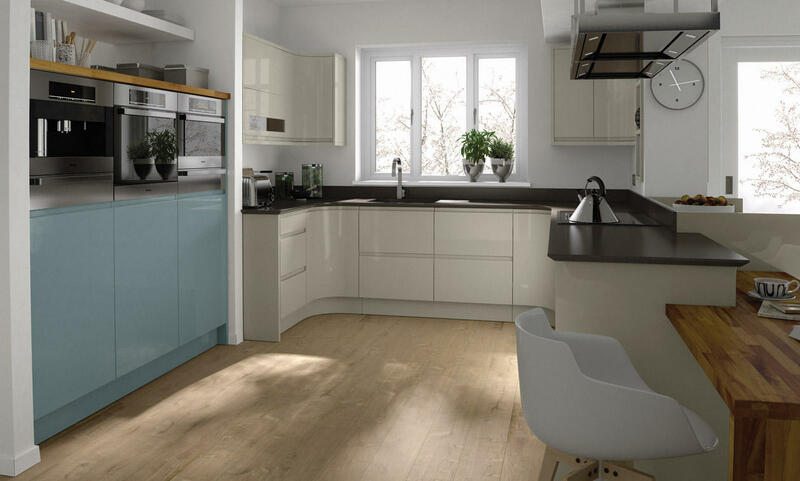 The contrast kitchen cupboard sections are in a soft teal shade which adds the perfect juxtaposition to the neutral hues for a marvellous modern finish. 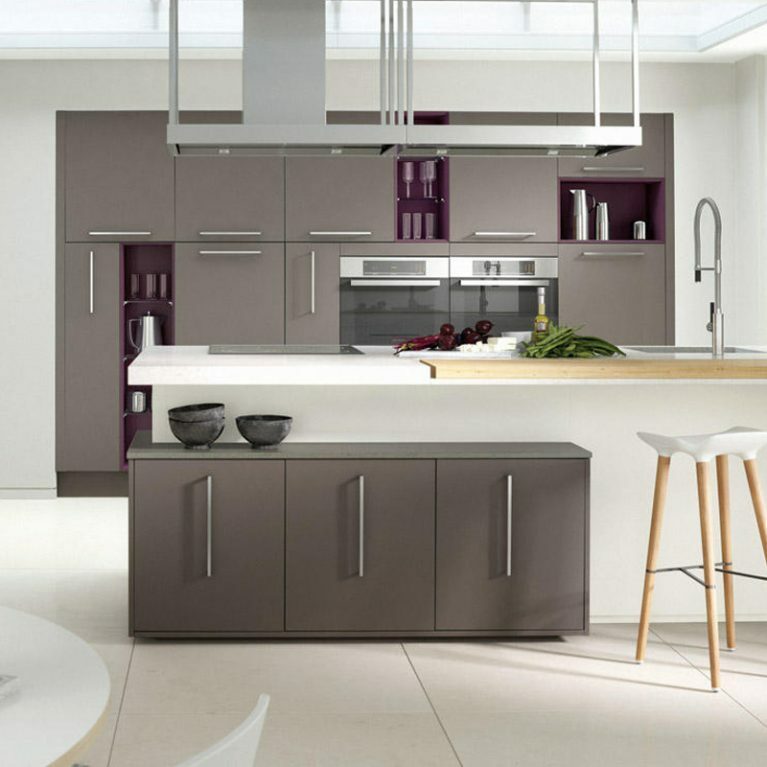 You can customise your Remo Painted contemporary kitchen in whichever way you like, with a host of 27 different colours to choose from. 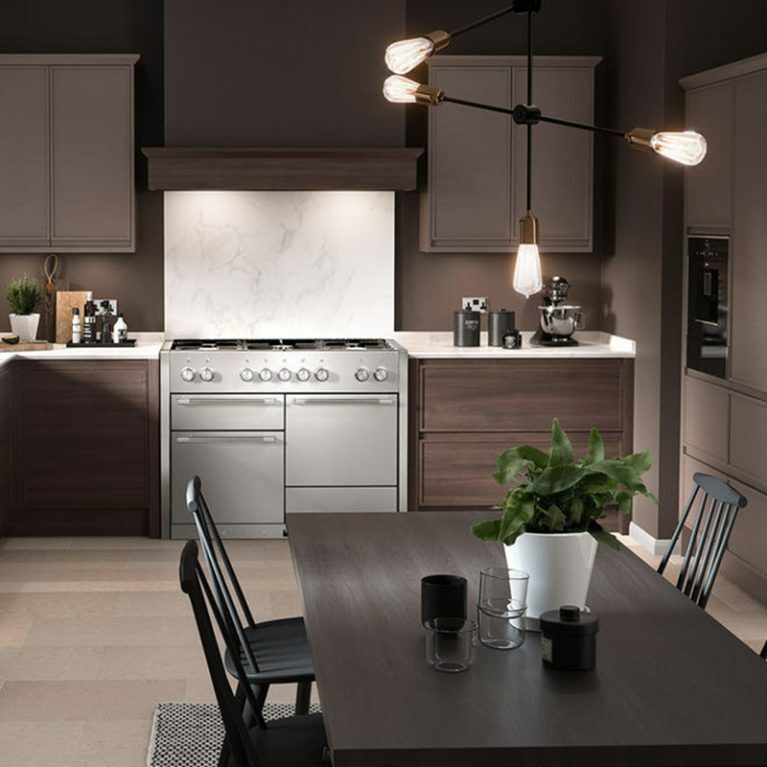 Whether you want to emulate a neutral foundation as pictured above, or start with something a little bolder, you can build a Remo Painted kitchen that perfectly brings your dream kitchen design to life. 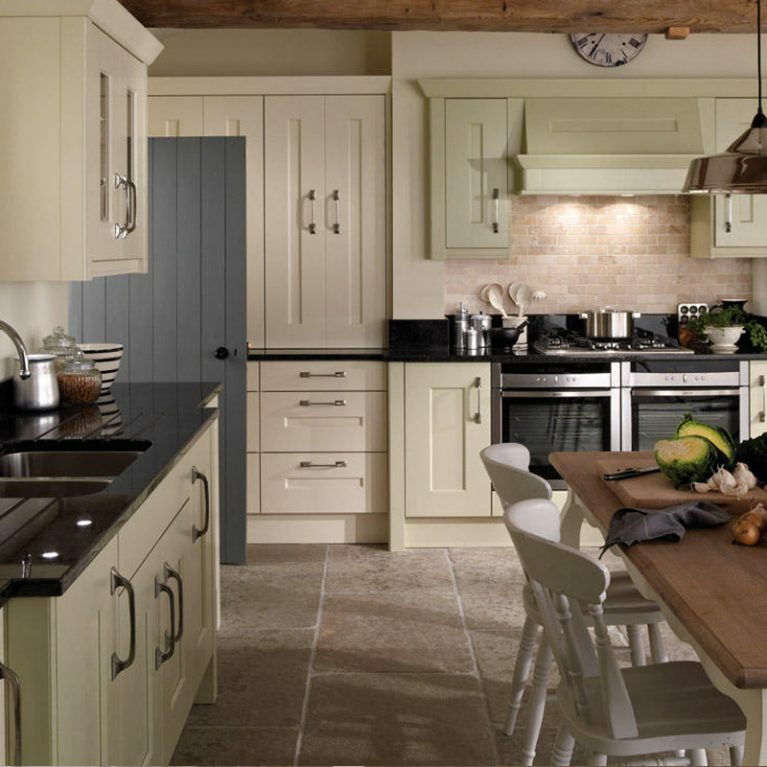 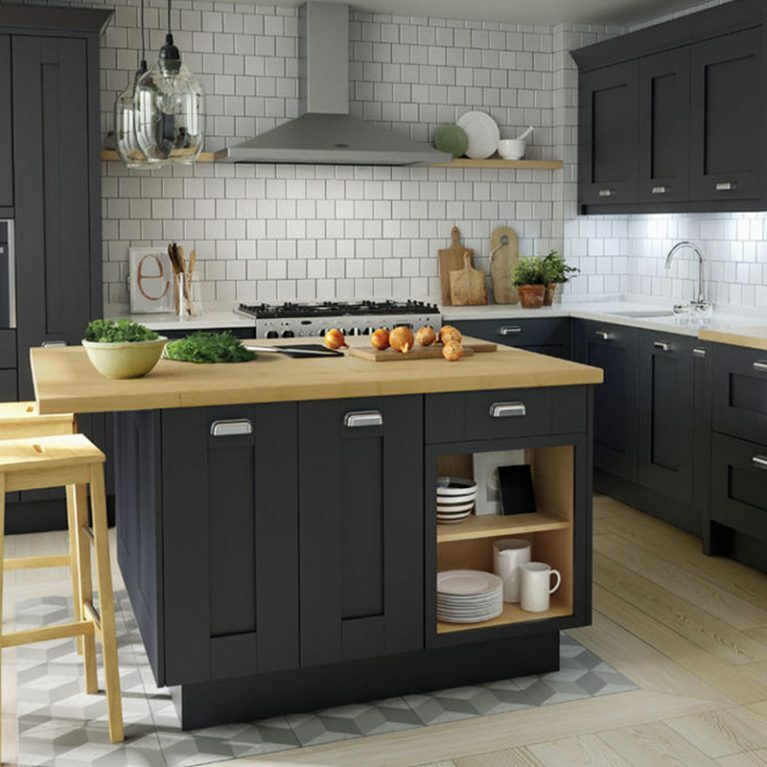 Durability is an incredibly important feature in your kitchen design, which is why the Remo Painted is a worthy investment that will keep your home looking flawless for many years to come. 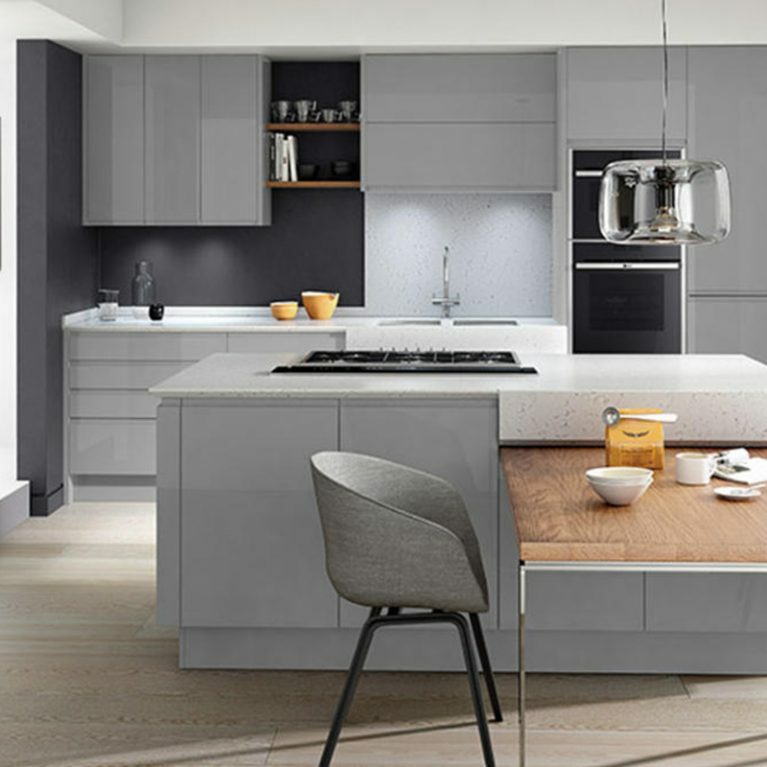 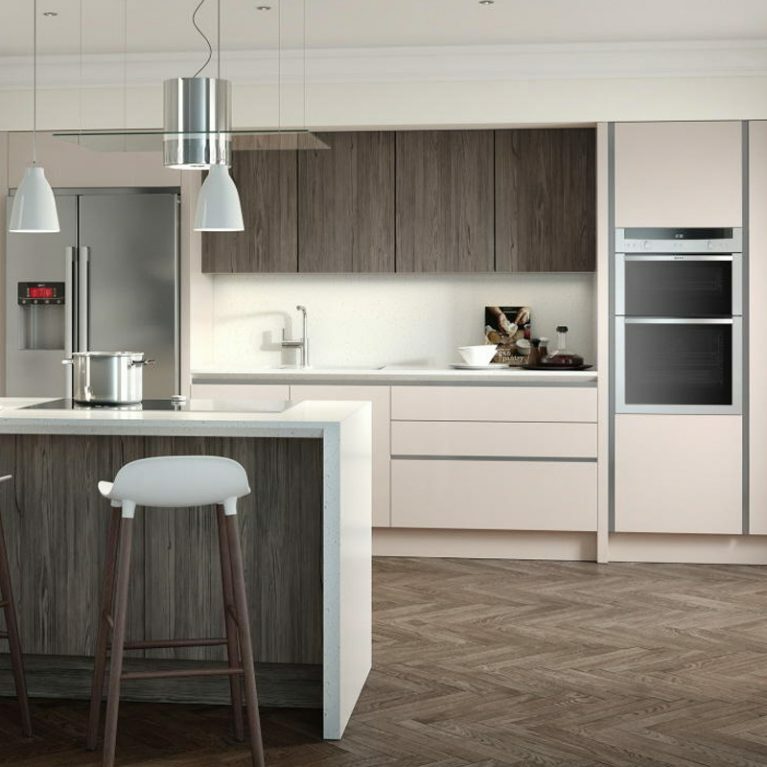 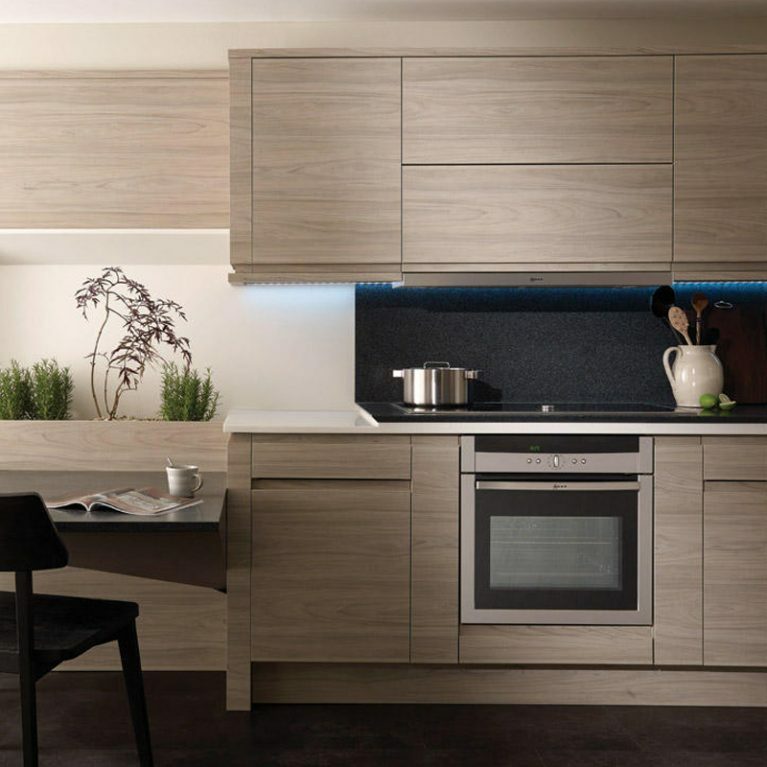 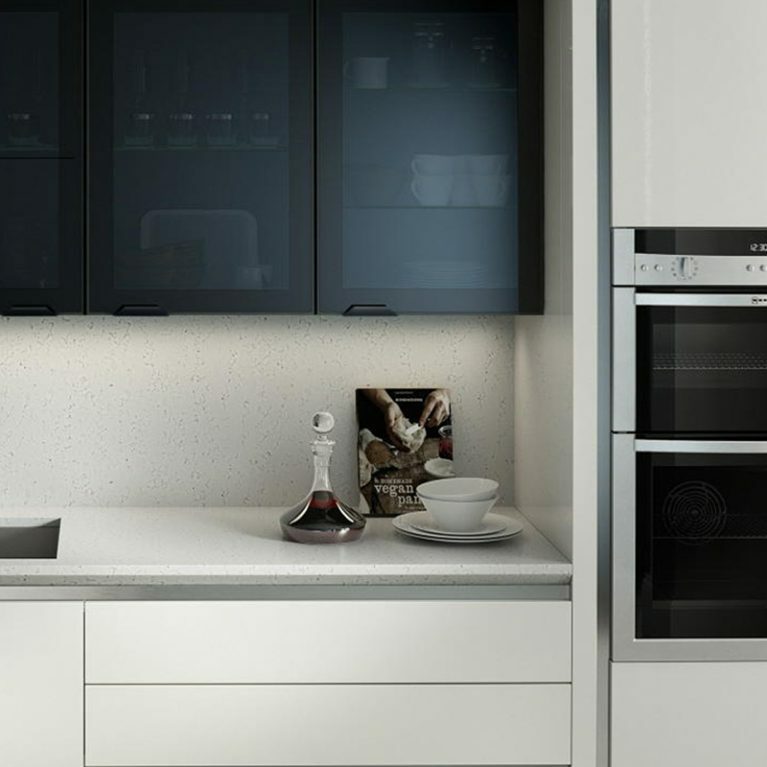 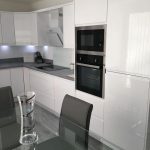 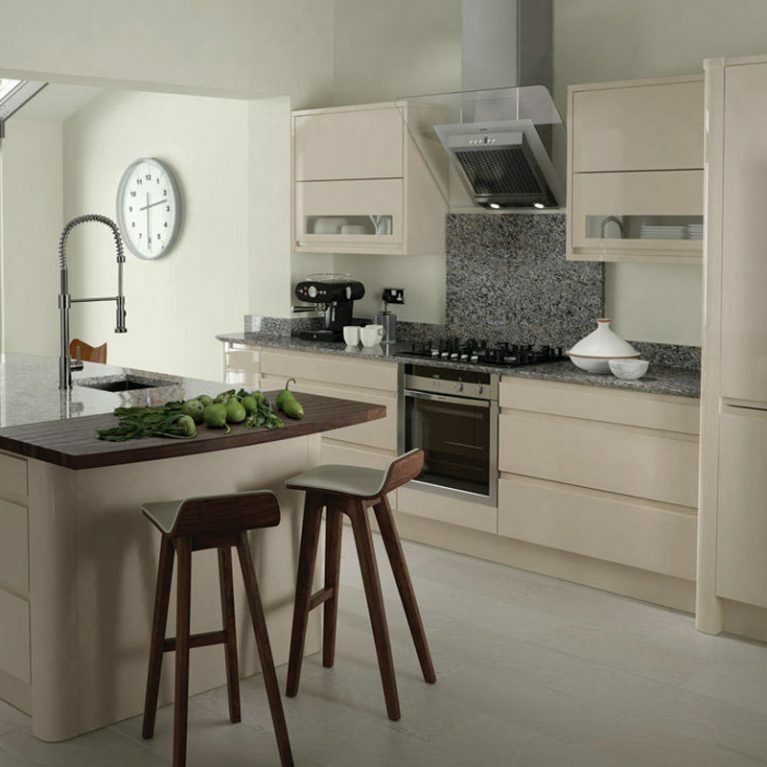 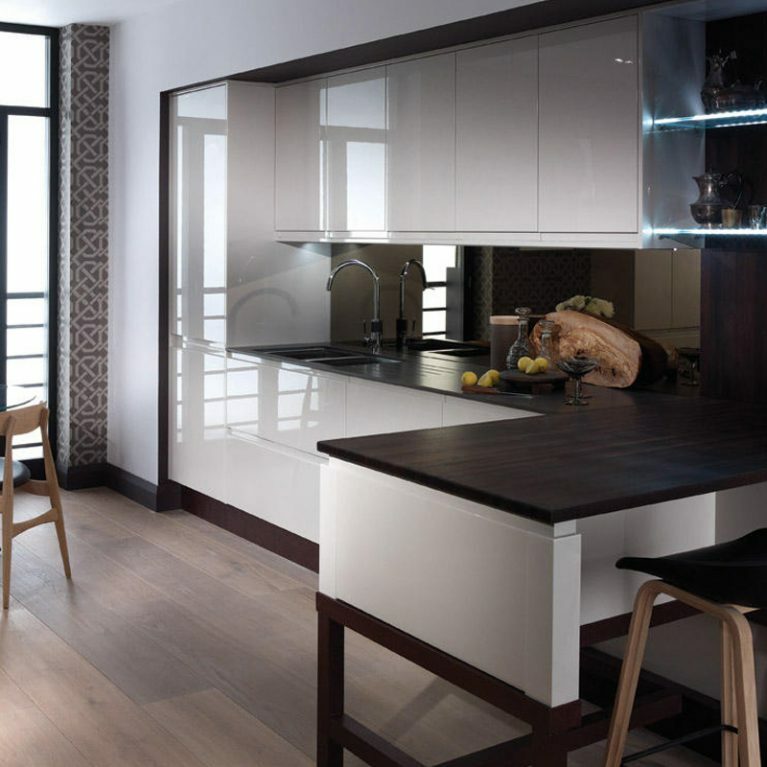 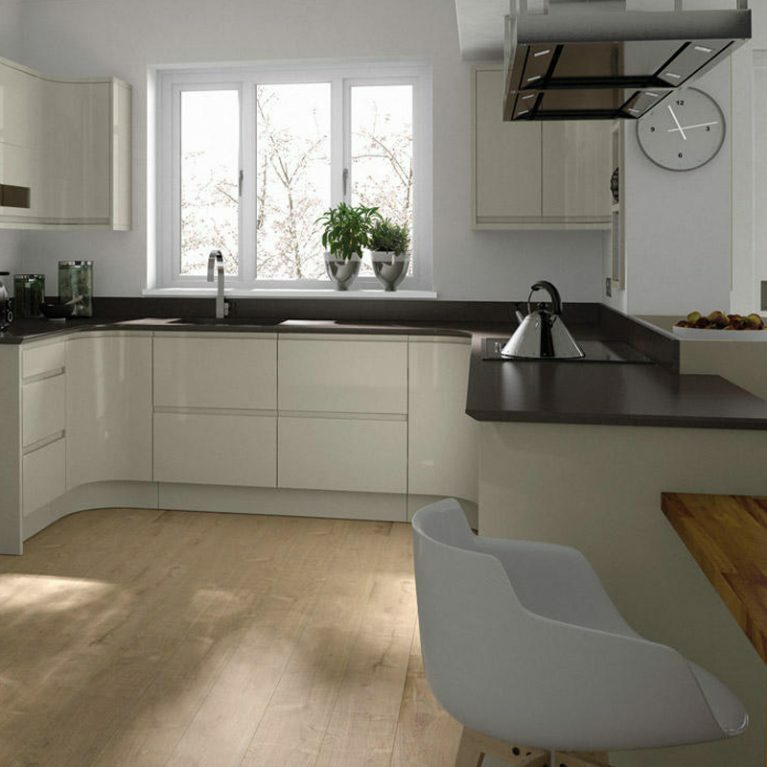 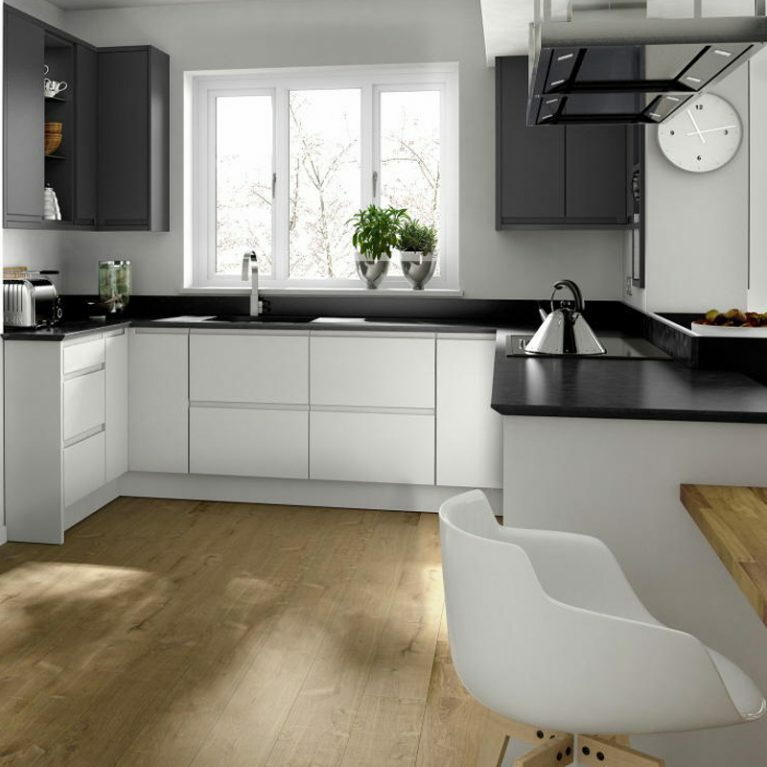 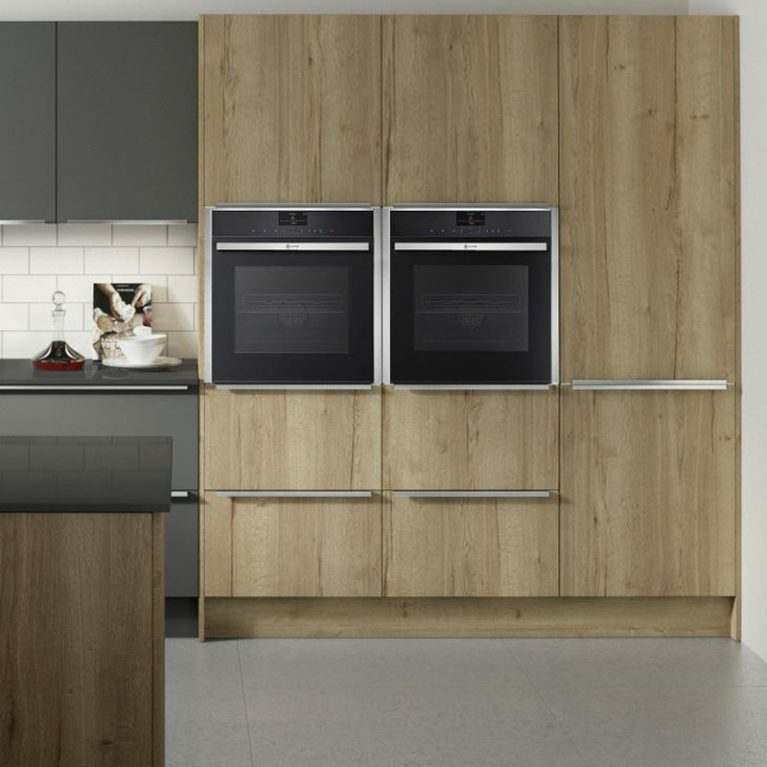 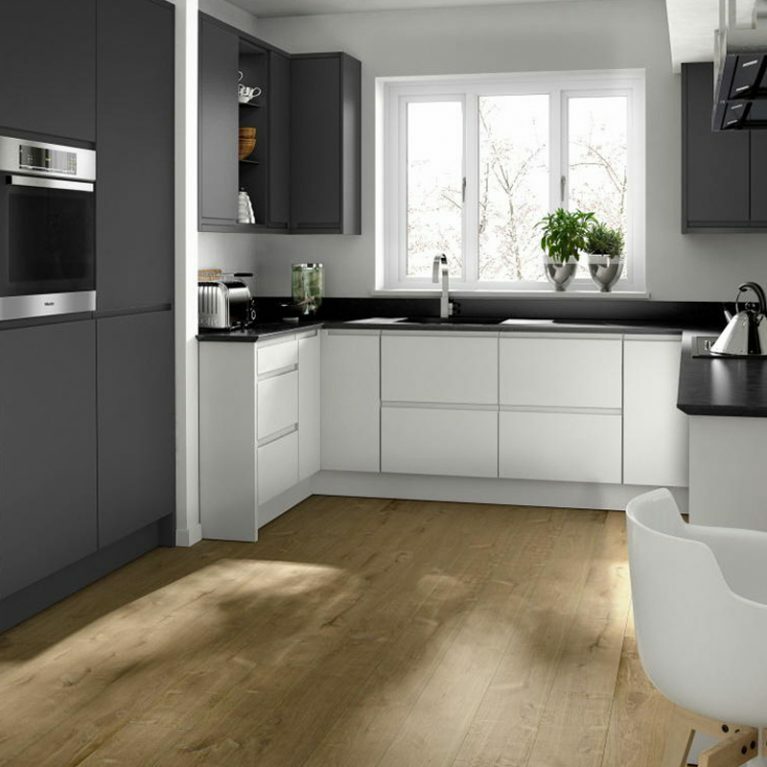 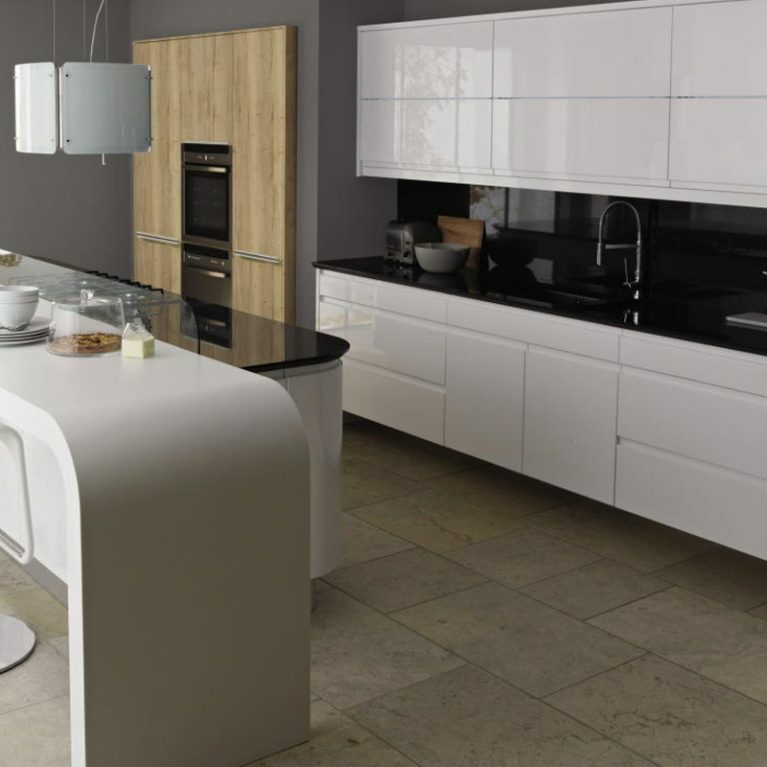 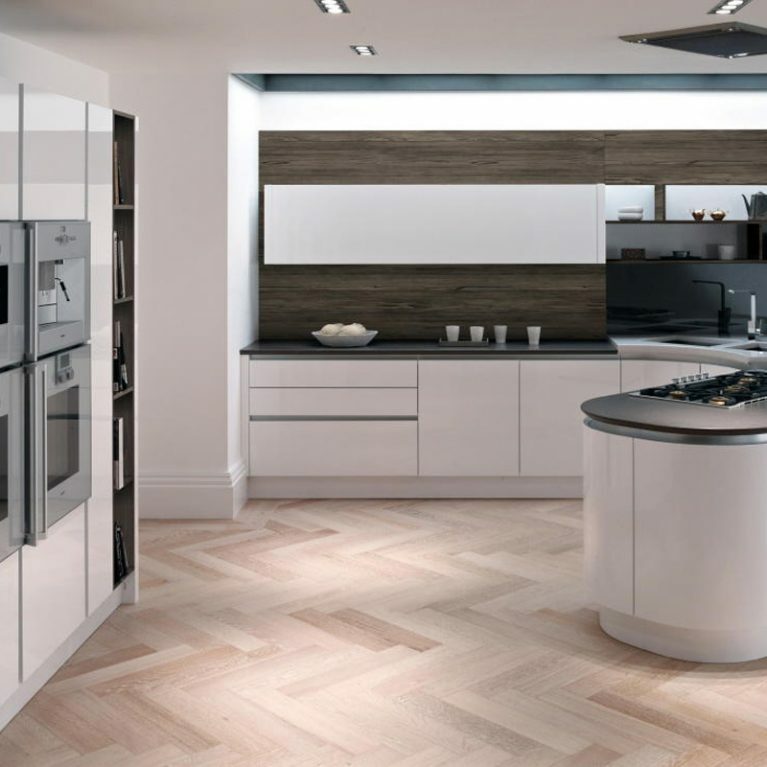 Integrated handles are a feature of the kitchen cupboard doors are on show here, allowing for the effortless opening of doors without compromising the sleek and seamless design of the Remo Painted contemporary kitchen. 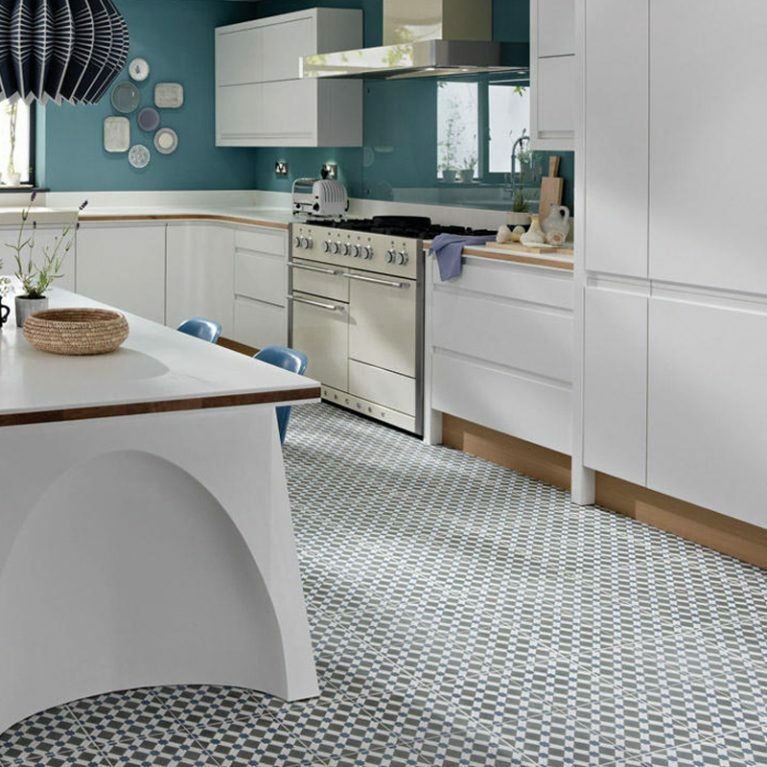 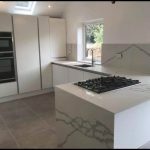 As with all Number One Kitchens’ kitchen designs, you can customise the work surface that completes your kitchen to a style that perfectly represents you. 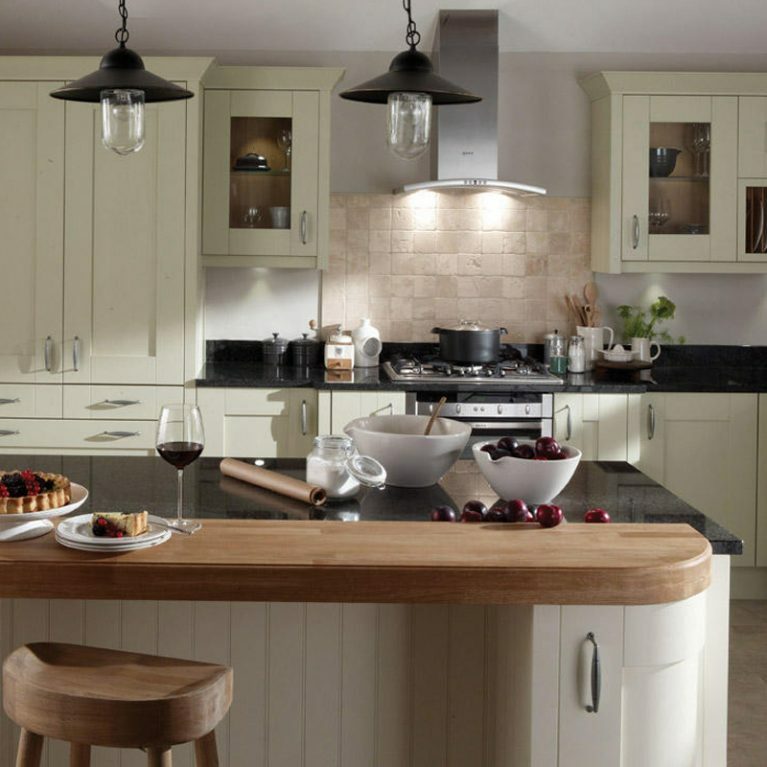 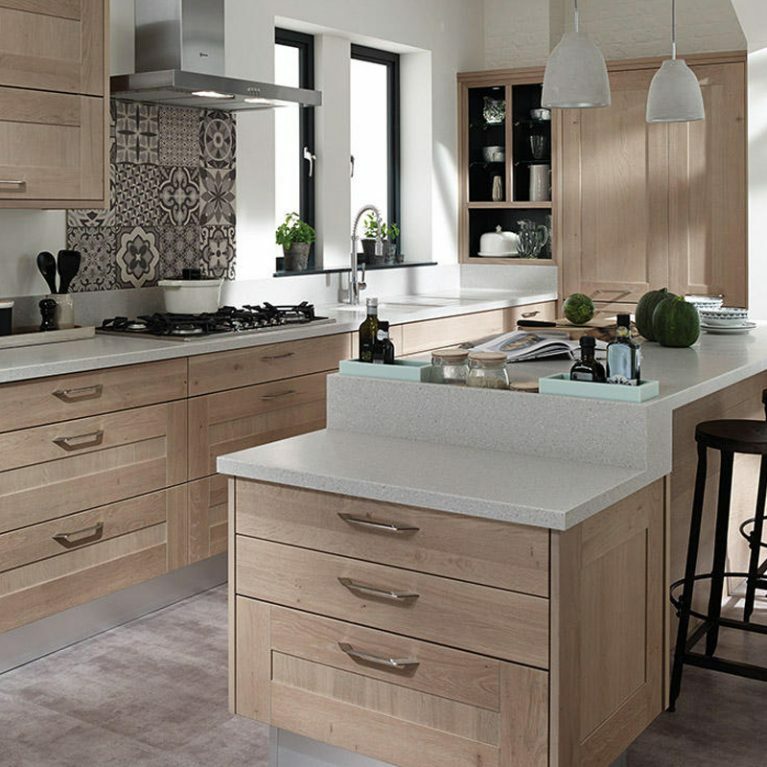 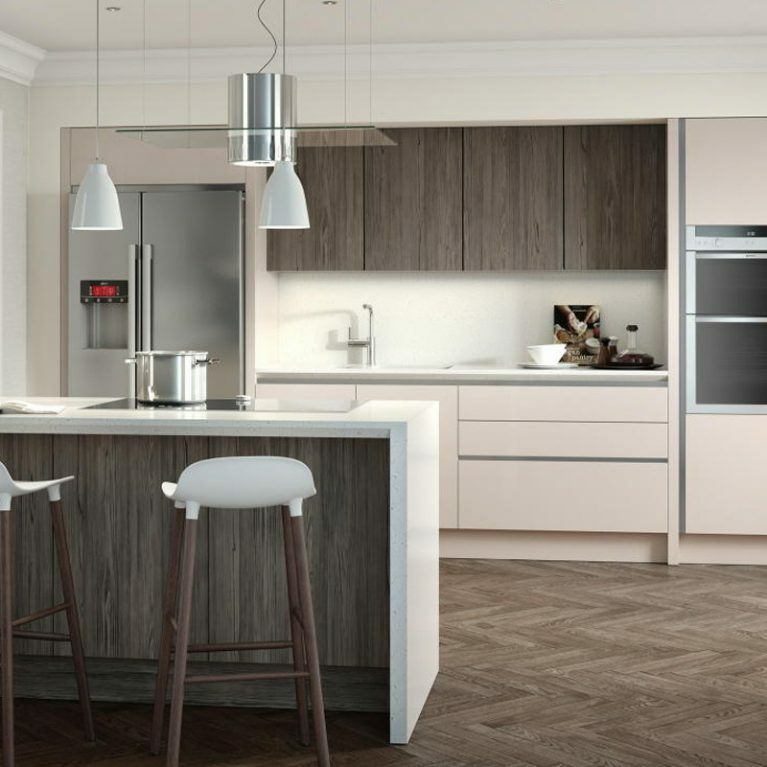 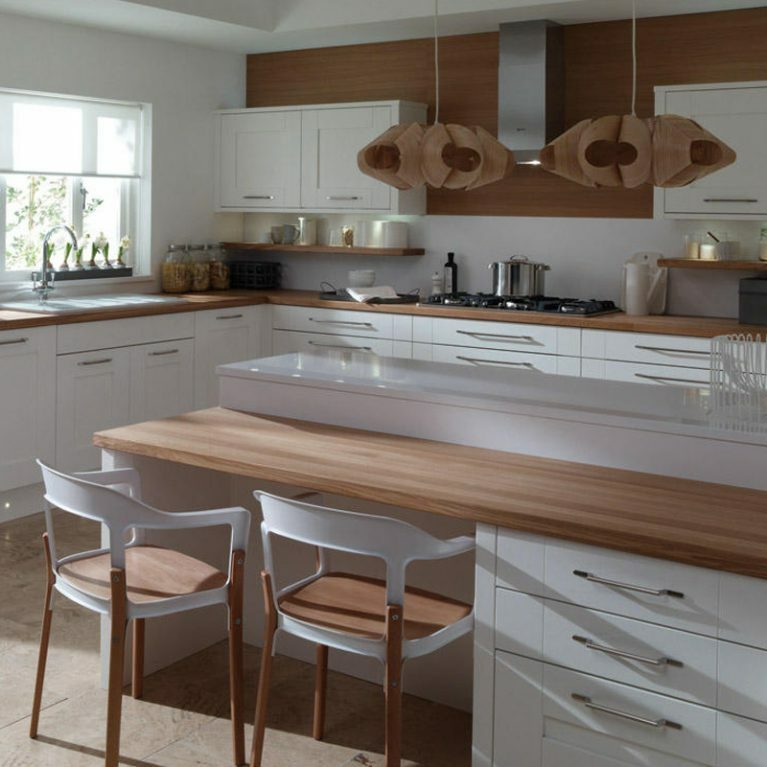 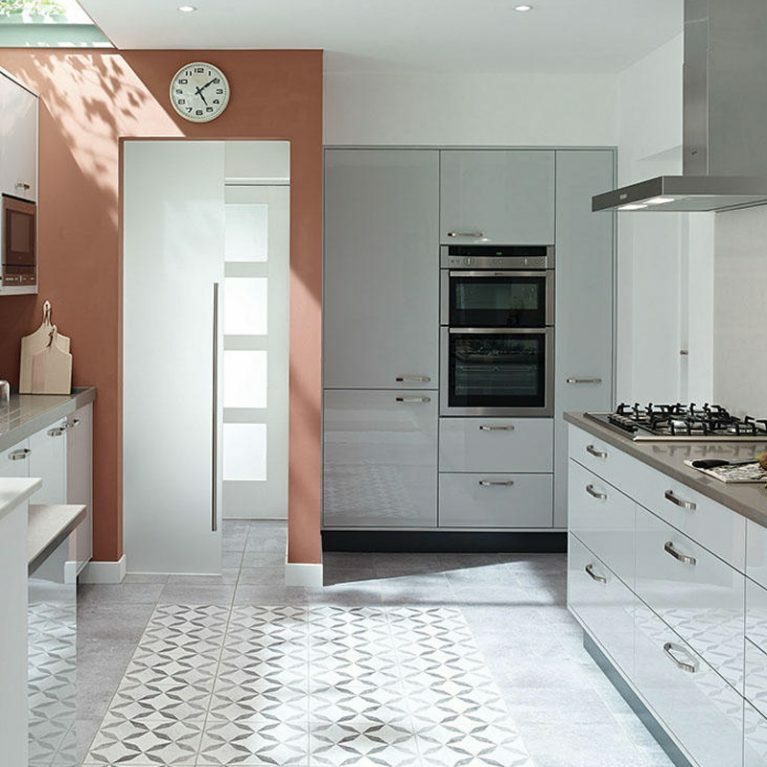 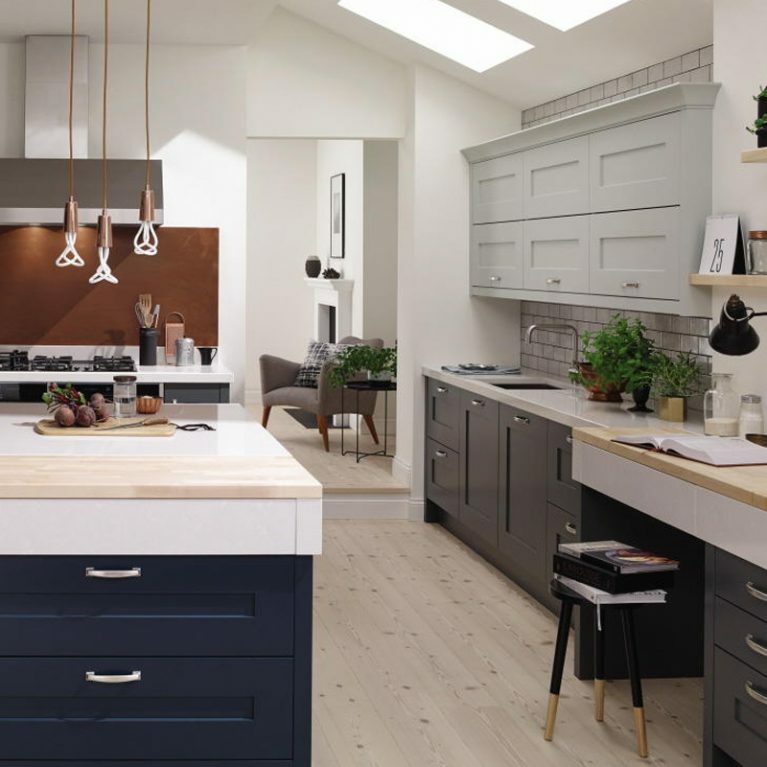 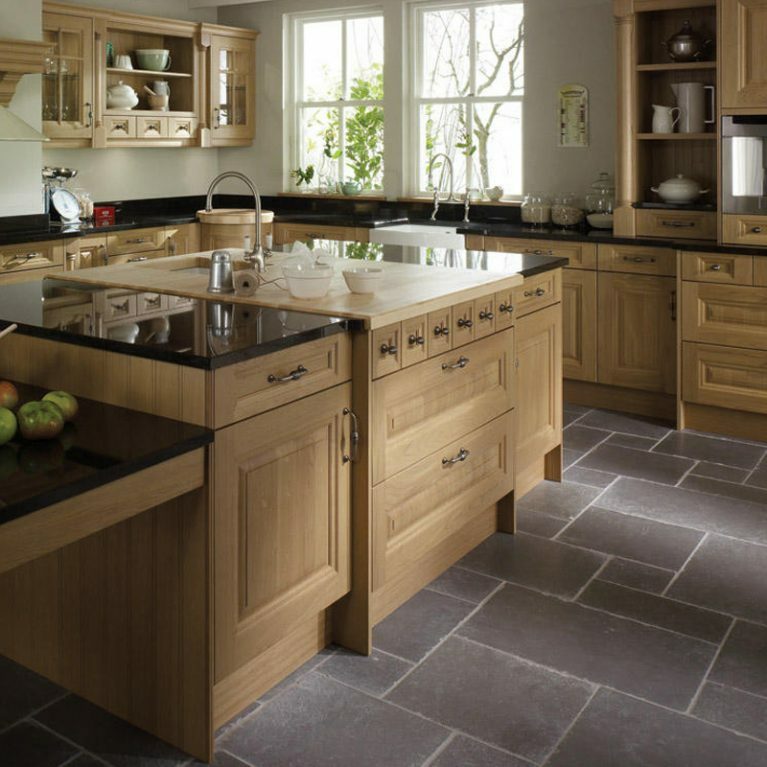 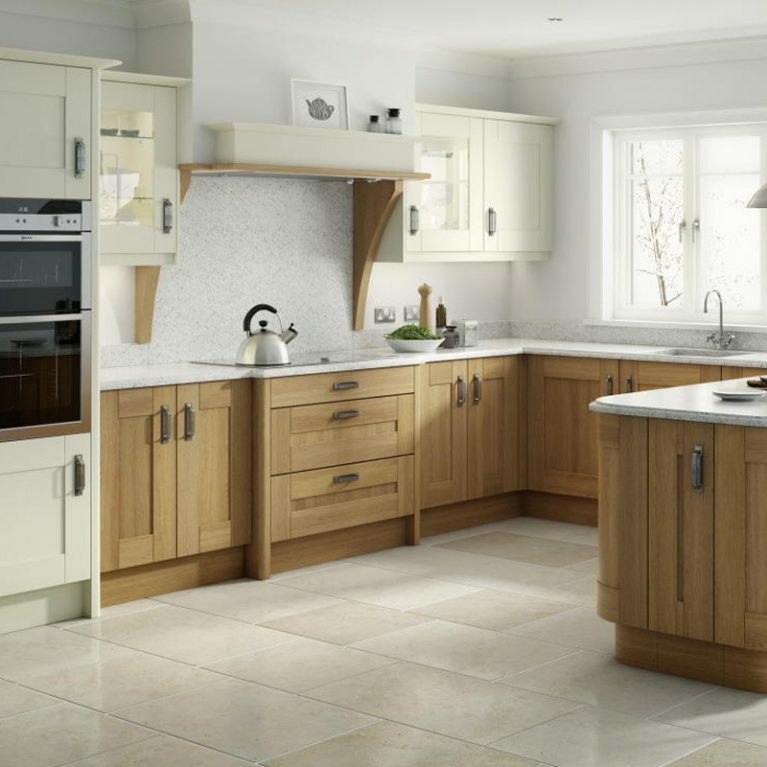 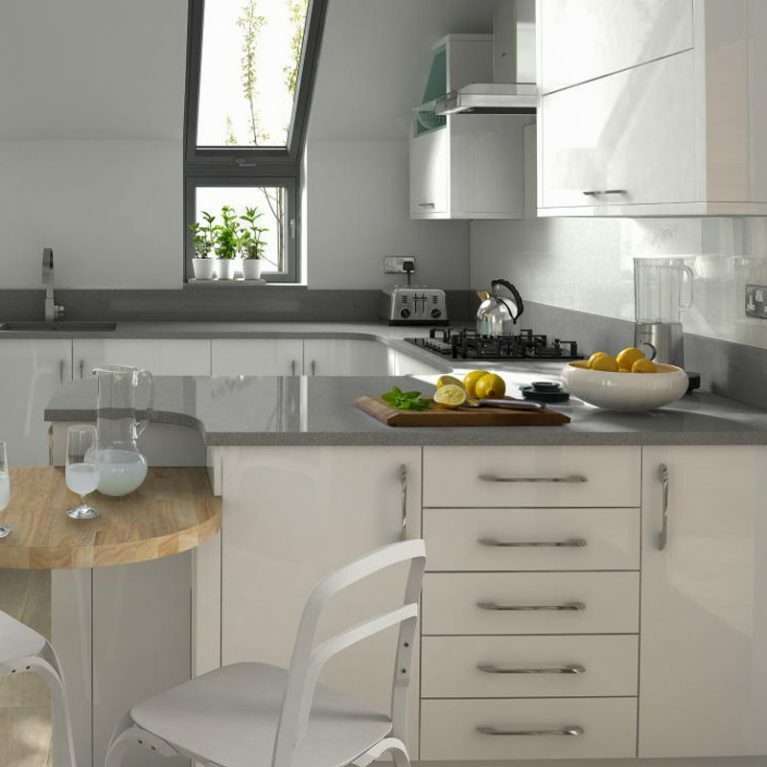 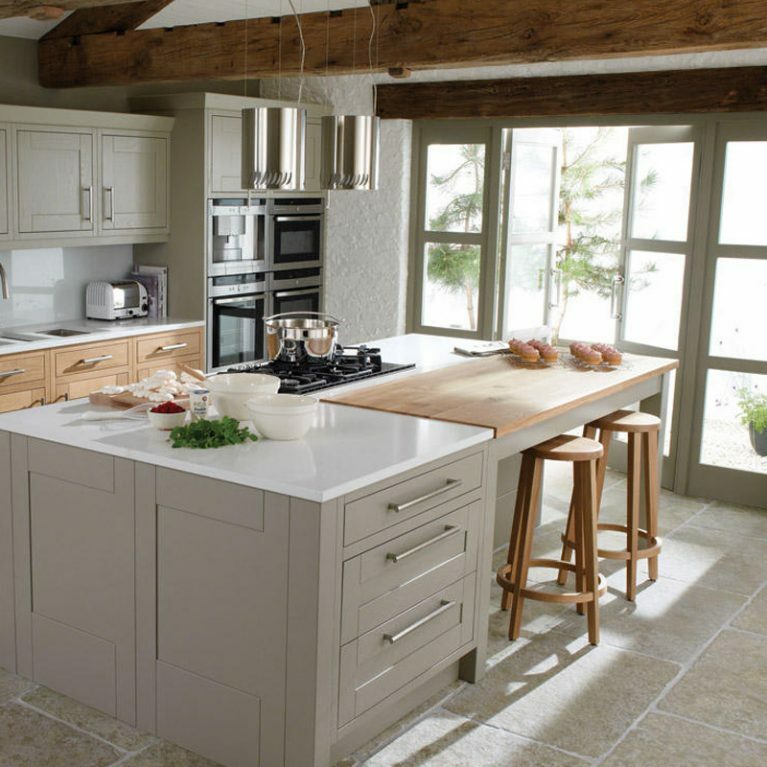 Choosing from a selection of different colours and materials, your own designs can be brought to life within your kitchen space with a little help from Number One Kitchens.